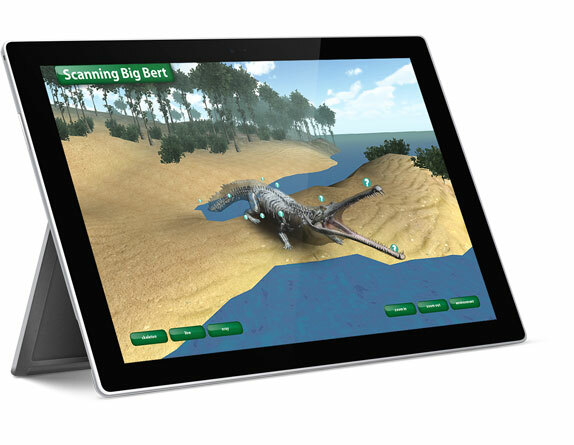 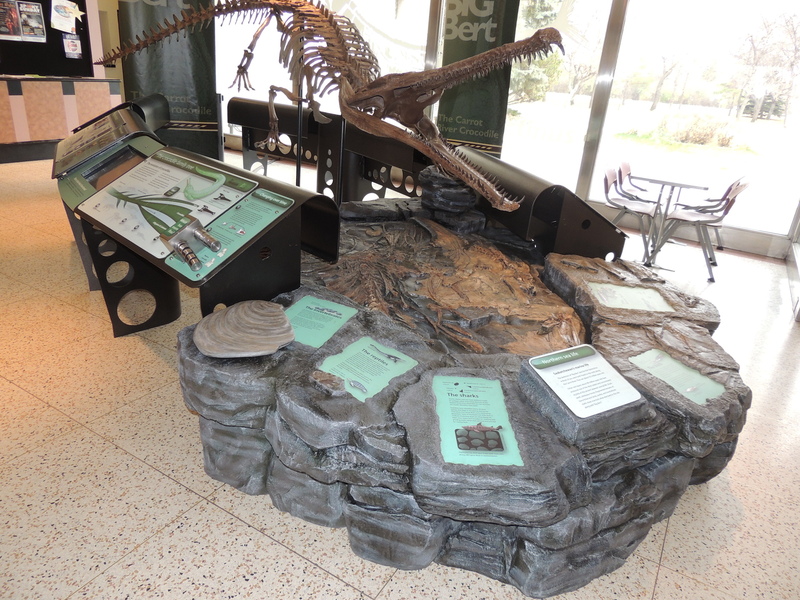 In this project we worked with the Royal Saskatchewan Museum to create two interactive installations to teach aspects of the ancient Saskatchewan crocodile “Big Bert”. 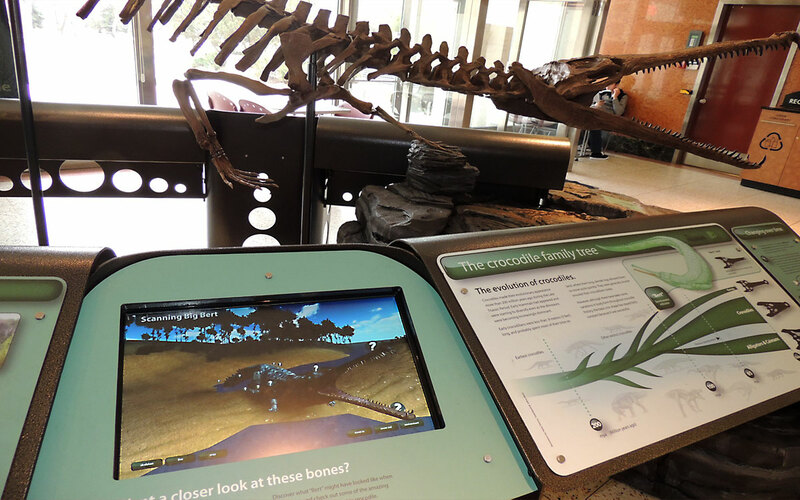 The first interactive exhibit was a viewer of a 3D scan of the skeleton along with skin recreation of Bert and his possible surroundings. 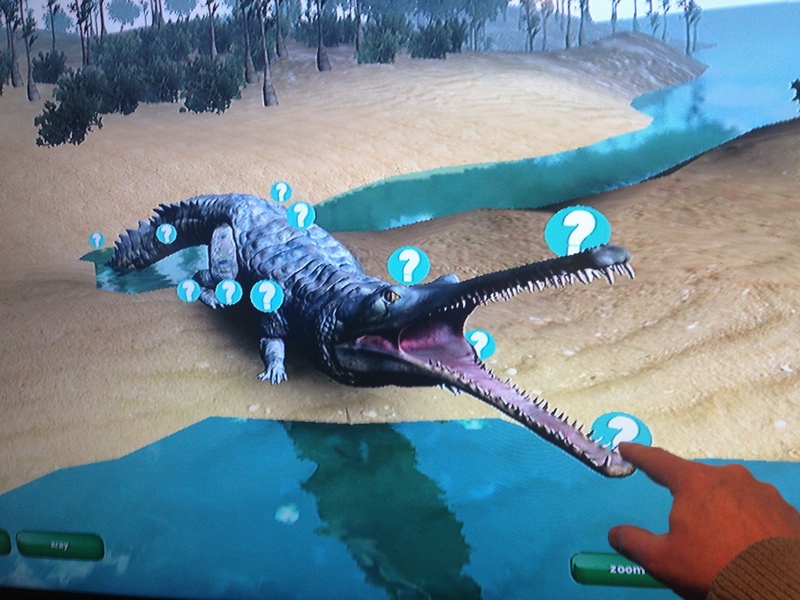 Our second interactive exhibit placed the visitor under water with a number of animated prehistoric aquatic life. 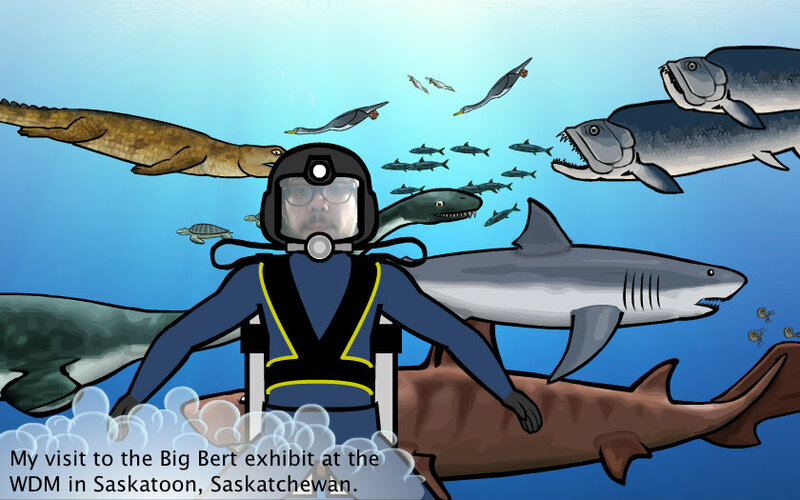 It was developed in Adobe Flash and used face tracking to place your face in scuba divers body.